Taxpayers With Foreign Assets Need to File FBAR by April 15? 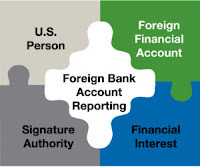 The Internal Revenue Service released IR-2019-63 on April 4, 2019 reminding U.S. citizens and resident aliens, including those with dual citizenship, that if they have a foreign bank or financial account, April 15, 2019, is the deadline to file their annual Report of Foreign Bank and Financial Accounts (FBAR). The deadline for filing the FBAR is the same as for a federal income tax return. 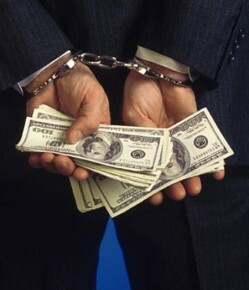 This means that the 2018 FBAR, Form 114, must be filed electronically with the Financial Crimes Enforcement Network (FinCEN) by April 15, 2019. FinCEN Grants Filers Missing The April 15 Deadline An Automatic ExtensionUntil Oct. 15, 2019, To File The FBAR. 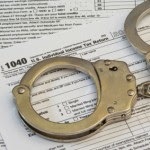 Taxpayers who want to paper-file their FBAR must call the Financial Crimes Enforcement Network’s Regulatory Helpline to request an exemption from e-filing. In general, the filing requirement applies to anyone who had an interest in, or signature or other authority, over foreign financial accounts whose aggregate value exceeded $10,000 at any time during 2018. Because of this threshold, the IRS encourages taxpayers with foreign assets, even relatively small ones, to check if this filing requirement applies to them. The form is only available through the BSA E-Filing System website. Taxpayers with foreign financial accounts that report their accounts to the U.S Treasury Department should also visit the FBAR Fact Sheet posted on IRS.gov. Taxpayers Don’t File The FBAR With Individual, Business, Trust Or Estate Tax Returns. An income tax filing requirement generally applies even if a taxpayer qualifies for tax benefits, such as the Foreign Earned Income exclusion or the Foreign Tax credit, which substantially reduce or eliminate U.S. tax liability. These tax benefits are only available if an eligible taxpayer files a U.S. income tax return. A special extended filing and payment deadline applies to U.S. citizens and resident aliens who live and work abroad. For U.S. citizens and resident aliens whose tax home and abode are outside the United States and Puerto Rico, the income tax filing and payment deadline is June 17, 2019. Taxpayers have two extra days because the normal extended deadline—June 15—falls on a Saturday this year. The same applies for those serving in the military outside the U.S. and Puerto Rico on the regular due date of their tax return. Interest, currently at the rate of 6 percent per year, compounded daily, will apply to any payment received after the regular April 15 deadline. See U.S. Citizens and Resident Aliens Abroad for details. Nonresident aliens who received income from U.S. sources in 2018 also must determine whether they have a U.S. tax obligation. The filing deadline for nonresident aliens is April 15. See Taxation of Nonresident Aliens on IRS.gov. In addition to the annual Report of Foreign Bank and Financial Accounts (FBAR) requirements outlined above, federal law requires U.S. citizens and resident aliens to report any worldwide income, including income from foreign trusts and foreign bank and securities accounts. In most cases, affected taxpayers need to complete and attach Schedule B to their tax return. Part III of Schedule B asks about the existence of foreign accounts, such as bank and securities accounts, and usually requires U.S. citizens to report these items for the country in which each account is located. Also, separate from the foreign accounts reporting requirements above, certain taxpayers may also have to complete and attach to their return Form 8938, Statement of Specified Foreign Financial Assets. Generally, U.S. citizens, resident aliens and certain nonresident aliens must report specified foreign financial assets on this form if the aggregate value of those assets exceeds certain thresholds. See the instructions for this form for details. Certain domestic corporations, partnerships and trusts that are considered formed for the purpose of holding (directly or indirectly) specified foreign financial assets must file Form 8938 if the total value of those assets exceeds $50,000 on the last day of the tax year or $75,000 at any time during the tax year. For more information on specified domestic entity reporting, as well as the types of specified foreign financial assets that must be reported, see Do I need to file Form 8938, “Statement of Specified Foreign Financial Assets”? and its instructions. Any income received, or deductible expenses paid in foreign currency must be reported on a U.S. tax return in U.S. dollars. Likewise, any tax payments must be made in U.S. dollars. Both FinCen Form 114 and IRS Form 8938 require the use of a December 31 exchange rate for all transactions, regardless of the actual exchange rate on the date of the transaction. Generally, the IRS accepts any posted exchange rate that is used consistently. For more information on exchange rates, see Foreign Currency and Currency Exchange Rates. An Offshore Bank or Financial Advisor? Is Your Name Being Handed Over to the IRS?